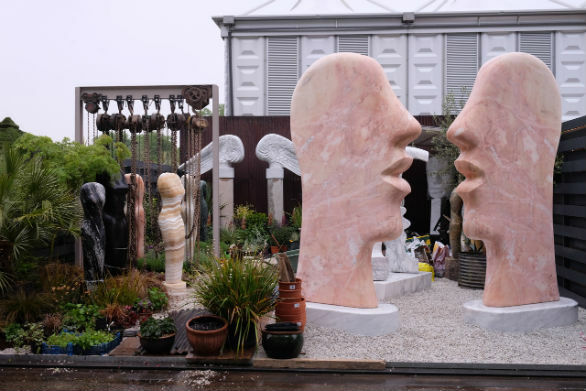 Paul Vanstone is very busy preparing the stand for RHS Chelsea Flower Show, which runs from 23rd until 27th May, with the gala preview on Monday 22nd May. In collaboration with Coombe Sculpture Garden, Paul will be exhibiting for the seventh consecutive year. We can be found at Stand WA58, on the Western Avenue. Our collaboration with Coombe Sculpture Garden has received 5 and 4 star awards for the past three years. This year we will be exhibiting exciting new and previously unseen sculptures. We do hope you will be able to join us on the stand! This entry was posted in news on May 18, 2017 by Louise Shorr.